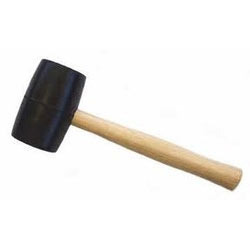 Understanding the demands of customers as a manufacturer, we are engrossed in providing a wide range of Rubber Mallets. Used to strike those objects, these mallets are manufactured using rubber, plastic, wood or leather that is obtained from accredited vendors of the industry. Available in different designs, these mallets are used in sports such as croquet and polo, owing to which demanded across the nationwide market. Looking for Rubber Mallets manufacturer ?